Jana and Ahmed sat with six-month-old baby Amir between them. “Amir means Prince!” said Ahmed. Jana was already divorced from Ahmed’s father when they had to leave Syria for Lebanon. 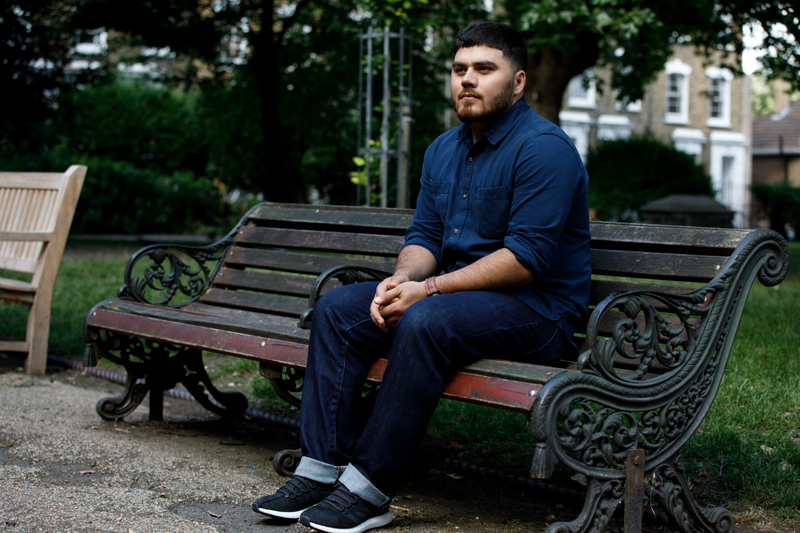 Jana had remarried and was pregnant when they resettled as refugees to UK, but her second husband was not able to come with them, and is still there. Jana, Ahmed and baby Amir have received support from Refugee Action at our Welcome Drop-in club, which is part of our Families and Children project. You can help support our work with refugee children and their families by making a donation. I was a teacher of Arabic in Aleppo. The war was awful. We could hear bombs, but never saw them. Then our house was hit and destroyed. Luckily we were out. It was as hock. You have a house, with decorations, your things, and then you have nothing. We had to leave. Everything in the street was destroyed. It was not safe for Ahmed. I am a Sunni, and Ahmed, because of his father, is a Shia. There was a time when it didn’t matter. Shia married to Sunni, Sunni married to Christian. But now people came to the house trying to take Ahmed away. We left at night. It took three days, walking most of the way, hiding at night, walking again. There was nothing left for us. My mother is still there. It is not safe. But she is 70. Where could she go? We were in Lebanon for two years. I made sure Ahmed went to school and he started learning English. Then we learnt we would come to the UK. It was a big surprise. It is a good feeling being in the UK, but it is hard. I am alone with the baby, alone taking care of Ahmed. The first day after the baby was born, I went to my English class, with the baby! War is bad. It’s when they throw bombs out of planes. Sometimes I heard bombs. But I don’t remember. I only think of good things. I have a box in my head and put all the bad things in there and keep it locked. At the start in the UK it was hard because we knew no one. I was shy at first, but I have many best friends here now. I like school. I am in Year 5. If you ask my teacher she will say I never shout out, mess about and I do my work properly. I like art best, with felt tip pens. Sometimes maths. I want to be a teacher. I want to be a teacher of everything! I am on the School Council. I think it means we can tell the teachers what to do! My idea is for changing school uniform. The girls want pink uniform, and I think the boys should have rainbow. The girls like that idea. We come to the club every week because we know some of the children and I play with them, and my mother knows some of their mothers. 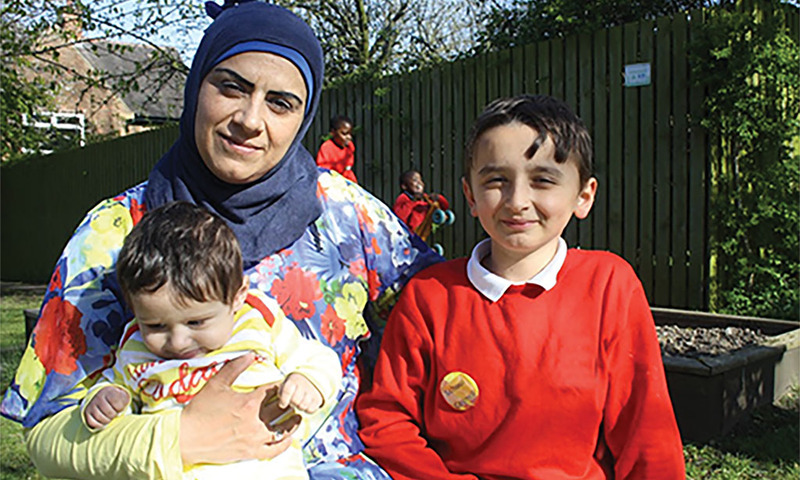 You can help the rebuild their lives and make refugee families like Jana, Ahmed and Amir feel safe and welcome in the UK. Help us raise £20,000 towards the costs of our Families and Children Project, so we can reach more refugee families.